We are proud to be able to give orphaned and rescued chimps like Motambo, Kabi and Wounda a second chance at life at JGI’s Tchimpounga Chimpanzee Rehabilitation Centre. But there is so much more involved in protecting chimpanzees from extinction. What about wild chimpanzee populations? Wild chimp populations have declined by 70% since the turn of the century, and if nothing is done they will decline a further 80% over the next 30 years. If we keep going like this, one day soon there will be none left. Environmental destruction caused by agriculture, commercial logging and mining, as well as armed conflict, has resulted in ever shrinking pockets of habitat, isolating chimp groups from others. Meanwhile the bushmeat and illegal exotic pet trade further reduces the numbers of chimpazees remaining in the wild. All of these problems have deep roots, including human population growth, poverty and disease, political indifference and corruption, conflict, and lack of community involvement in managing natural resources. 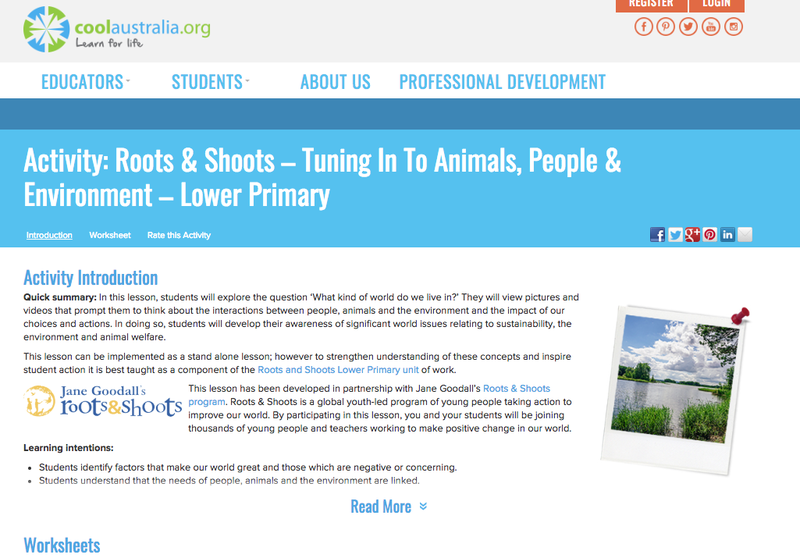 How is JGIA tackling these issues? 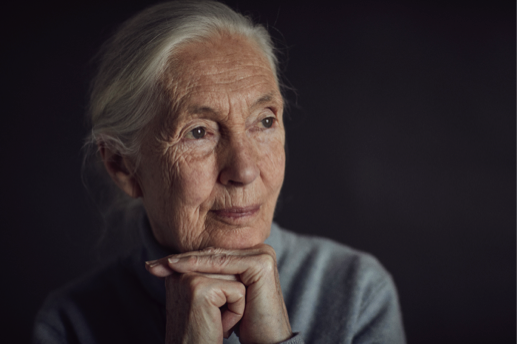 The Jane Goodall Institute takes a holistic, multi-pronged approach to both providing rescue and rehabilitation to chimps who need it, as well as addressing the underlying causes. As human populations rise and forests fall, great ape populations become fragmented and isolated from one another, decreasing genetic diversity and the odds of long-term survival of each community. As human communities grow unsustainably, they put the future of natural habitats at risk. JGI works with local communities, governments and organisations to develop and implement Conservation Action Plans for key chimpanzee habitat to support the genetic and cultural diversity of chimpanzees in the wild. We operate at the landscape scale, focusing on protecting vital ‘green corridors’ by weaving together a network of community reserves and national protected areas to connect chimpanzee communities and improve genetic viability of the species across its entire range. Establishing protected areas through the demarcation of reserves and national parks is an important first step in protecting habitats. Unfortunately, most governments lack the resources to adequately protect chimpanzees and other species from poachers. JGI helps fill the gap by training, managing and equipping law enforcement personnel. Poachers plant wire and rope snares on the forest floors, where the traps can catch and strangle chimpanzee hands and feet, causing grave injury or even death. Through the help and employment of former poachers, JGI has removed tens of thousands of illegal snares. Also by providing this alternative income option, we are offering locals the opportunity to work towards saving these extraordinary animals. JGI’s environmental education programs sensitise target communities, teaching community members about what they can do to help protect great apes, and the consequences for those who do them harm. These programs make it possible for people to identify when a crime involving a great ape is being committed, and provide the tools to report it to the appropriate authorities. 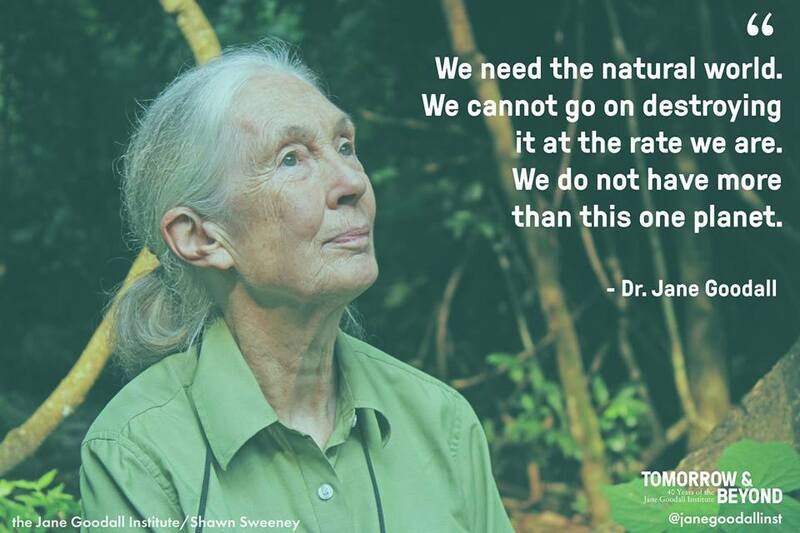 JGI believes that the best way to protect healthy habitats is to focus on actions that both protect endangered animals and their habitats, and also benefit the local people whose lives depend on a healthy environment. We work with communities living in or near chimpanzee habitat to launch alternative, sustainable livelihood projects that improve their incomes and capacity to take care of natural resources. We also emphasize local participation in conservation planning and monitoring and always strive to include local culture and community needs in our conservation approach. Delivering results through this integrated approach builds awareness that everything is connected, and that supporting these larger, living systems can both achieve conservation goals and improve the livelihoods of local communities. 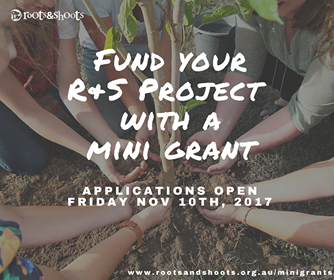 R&S Mini Grants Program Launches!